You are buying a license for the Office product Microsoft Word 2010 as a volume license key. Further information: The actual requirements and product utilities depend on your personal system configuration and may vary from case to case. Please feel free to reach our customer service staff for any help during installation. 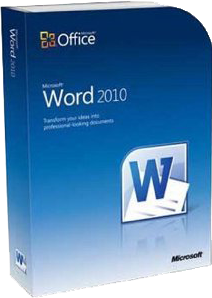 Microsoft Office 2010 gives you a wide range of new possibilities to do your best at work, home or school. Impress and inspire your audience with a visually supported presentation of your ideas. You can work from anywhere in this world with different people and have success to your data at all times. Microsoft Office 2010 gives you the needed overview while getting results and sticking to your schedule.